The time of the year when gardens are showing off not their lovely blooms but their bones and the accessories that the garden fairies have chosen to nestle among those bones. 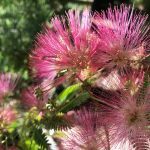 Yes, our gardens may still be blooming here and there however there is a lot less to attract our attention color wise right now even here in sunny Southern California – so what about all around the rest of the country? One of the garden planning activities that I love to do is dreaming… What makes your garden say that it is your garden? Yes it is the plants that you lovingly chose and the flow that you gave it to begin with but what about accessories? I love accessorizing my garden and the gardens of my clients and shopping for those accessories can be such fun! 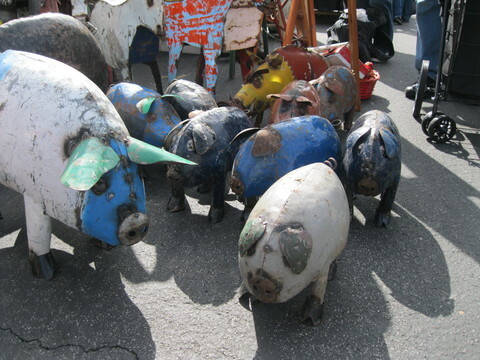 I love to shop at flea markets, thrift stores, and yard sales for my garden ornaments and I bet that after you see some of these items you will be hitting the pavement and stores for both your garden and your home! 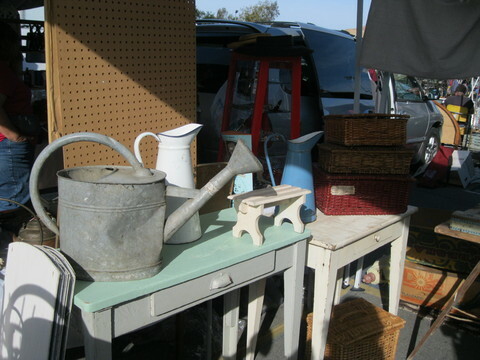 If you feel intimidated about shopping for accessories for you garden, just think of your flea market finds as the jewelry of your garden! You don’t need to have it, but you sure feel better going out of the house with it on. So just have fun with it! Watering implements: Collections are a great way to tie your garden together or create a theme. These would be a beautiful addition to an Asian or modern style garden. 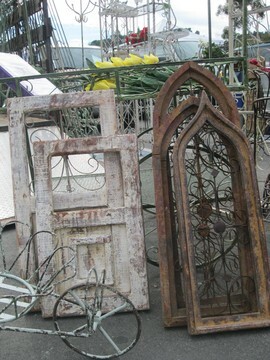 Love, love, love the iron work! These are a great addition to a contemplative area of your garden or you can even start your collection with these. 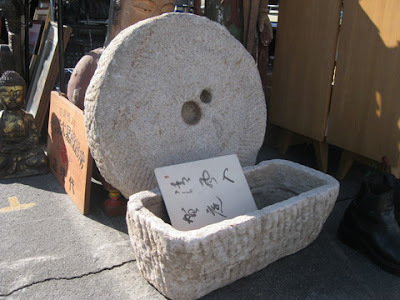 Don’t forget you can also find some great “jewelry” for the inside of your home. 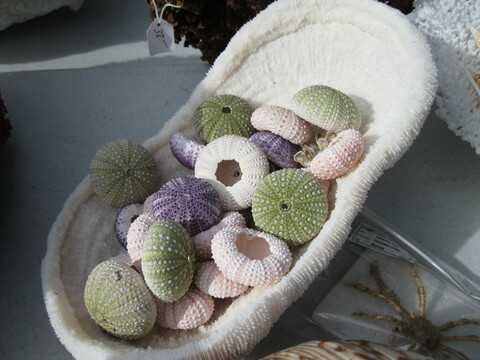 These sea urchins will add a real resort or beach feel to your home. A colorful, metal alphabet just waiting. 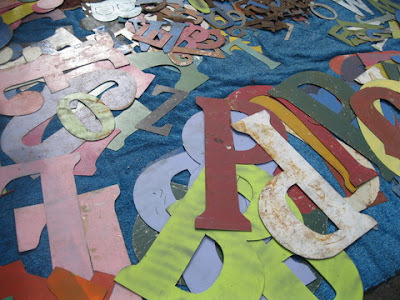 You could use them in a kids room, an office or buy a bunch to create an inspirational phrase for just the right nook. 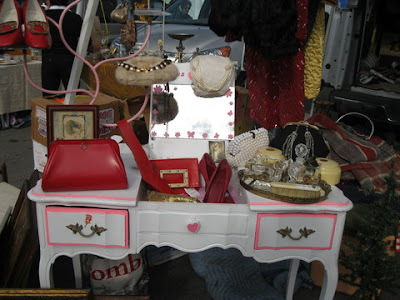 …and you can even find REAL accessories Pocketbooks galore! 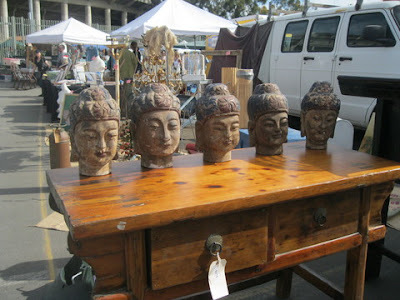 So, now that the weather is allowing your garden jewelry to be the star of the show, why not add a few pieces?